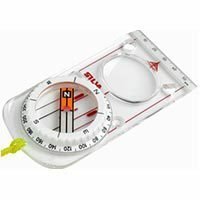 New to Orienteering?What is Orienteering? Orienteering is a challenging outdoor adventure sport. The aim is to navigate between control points marked on a special orienteering map and decide the best route to complete the course in the quickest time. It does not matter how young, old or fit you are, as you can run, walk or jog the course and progress at your own pace. Orienteering can take place anywhere from forest and countryside to urban parks and school playgrounds. The British Orienteering (BOF) website has excellent resources for newcomers. The challenge of the sport can come as a surprise even to those newcomers who are very sporty or adventurous - read this posting on Mudstacle. Select your event from the events list. Note that many orienteering events are in obscure rural areas so plan your journey to the event carefully. You can arrive at any time within the start time range, but to avoid being under time pressure, novices are advised to arrive early. On arrival novices will be able to get lots of help and advice from those at registration. 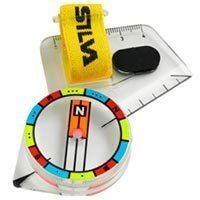 A compass if you have one - not strictly necessary but will make navigating much easier. A whistle is a useful safety measure if you get lost or injured. Manual Punching. - You carry a control card and a pin punch is provided at each control point to enable you to punch your control card and thereby record your passage round the course. (Each punch has a different pattern of pins!!) We use this for most junior events. Decide which course you want to run, details at Registration. Show your completed slip to the registration team and pay for your entry. If electronic punching, hand in your registration slip to the computer people and collect your electronic punch. You are now free to start your 'run' anytime between courses opening and closing. Only at bigger events will you be given a designated time to start. Go to the start. The start official will ask you to clear then check your dibber using the electronic boxes provided. This wipes any old data on the chip. 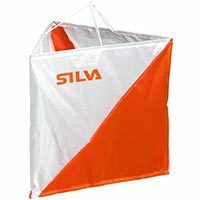 Run your course, looking for your next kite each time and recording your arrival at each control point by dibbing electronically (or punching your control card if you're at a lo-tech event). Hand in your Control Card or download the information on your electronic punch. With electronic punching the record of your run is immediately available and the course results are usually available before you leave the event. With Control cards overall results will take a day or two to work out. Final results are usually available on the website within a couple of days. When you have visited all the controls you visit download to have your electronic dibber "read". Even if you don’t find all the controls it is important that you report to download so that we (and your friends) know that you have finished and are not lying injured in the forest. If you lose your dibber you must tell the people at the finish / download. There are several forms of Orienteering events: Colour coded events - These are the most common type. Several courses will be on offer with different colours to show how long and difficult each course is. For each course a separate map is provided. The map will show a sequence of controls which must be visited in the order given. The fastest to correctly complete the course is the winner. Urban events - these also offer a range of courses for different skill levels and ages. The courses are not usually colour coded in this case but they operate in the same way - pick up a map and navigate to the controls in the correct order in as short a time as you can. Summer Series, and "Come and try it" events - These are aimed specifically at children and families who are new to the sport. These are on a more informal smaller scale, and are less competitive. Relay events - There are several different types of relay but they usually involve several individual runs being combined into a single score. We also help to set up and maintain Permanent Orienteering Courses which provide a way to try orienteering in your own time. The table below gives an idea of the relative difficulty of the colour standards. Precise guidelines can be found in British Orienteering Rules. Although the age of children has been used as a guide for some of the easier courses, even adult beginners would benefit from going round an easier course first just to get the idea of map scale, symbols etc. Yellow 2 2 A doddle for experienced 12 year olds. Some route choice all on paths. Orange 3 3 Controls on features a little way off paths or on line features. Adult beginners shouldn't attempt anything harder. Red 3 3 to 4 Not often provided. Basically a long Orange. Light Green 4 3 Transitional course for improving skills. Blue 5 4 Longer than Green and shorter than Brown! Brown/ Black 5 5 For very fit and competent navigators who are usually 16 plus. A good orienteer in good physical condition will travel at somewhere between 6 and 10 minutes per kilometer depending on the terrain. You do not need to be competitive to enjoy orienteering, but most orienteers take a great interest in how well they get on relative to their peer group, whether this is fighting for podium places or further down the field. 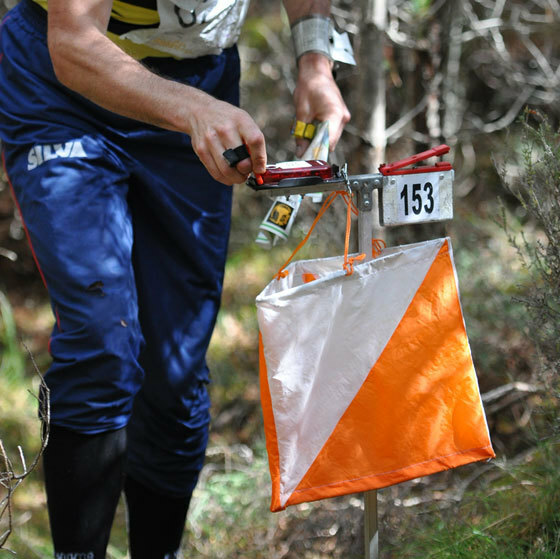 Most orienteering events are competitive with results based on finish times. Orienteers who are members of British Orienteering will automatically earn ranking points at each event they take part in, which allows comparison with others in the same age class in the whole UK or in the local region. WAOC has its own club league which operates on a similar basis but is just for club members, and where the best performers each year receive a trophy at our annual prizegiving. The East Anglian Region also organises a league with trophies for the best performers amongst the clubs in the region. There are national leagues for urban events (SEOUL, Nopesport league), and general events (UK Orienteering league). Some events are also competitions in their own right such as the annual East Anglian Championship, and national events such as the British Orienteering Championships, the JK, and the biannual Scottish 6 Days. WAOC competes in inter-club championships (the CompassSport Cup and Trophy, and the Yvette Baker Trophy for Juniors) where all participating club members can earn points for the team. Relay events provide a chance for small teams of orienteers to combine their talents and compete for their club at relay events such as the British Orienteering Champs and the JK, and the Harvester.